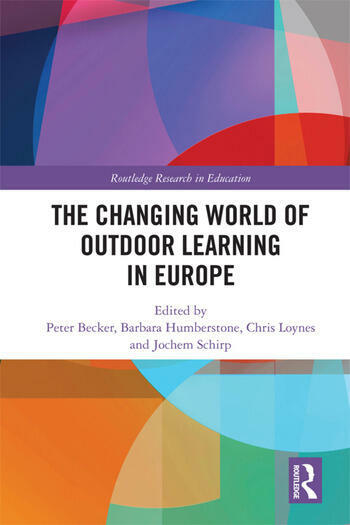 The Changing World of Outdoor Learning in Europe sets out to provide a comprehensive analysis of the economical and political changes that have occurred in European outdoor culture in the preceding two decades, from a diverse range of perspectives including institutional, theoretical, national and educational views. The book looks at how outdoor education has been transformed into an increasingly global field where established and influenced practices have been introduced into modernising and democratising nations. With contributions from the members of the board of the European Institute of Outdoor Adventure Eduation and Experiential Learning and representatives of the networks that stand behind it, this unique book provides thorough factual analyses and examinations of outdoor learning that have never been presented before. The book contains contributions from across Europe, with authors from the UK, Germany, Finland, Sweden, Slovenia, Poland, Norway and the Czech Republic. Chapters within the volume by non - European authors provide another perspective on the European story in a wider context. As a whole, the book will stimulate the ongoing debate about the nature, function and organisation of outdoor education around the globe. The Changing World of Outdoor Learning in Europe will be of great interest to academics, researchers and postgraduate students in the fields of outdoor education, leadership and recreation; and outdoor, sport, environmental and leisure studies. It should also be essential reading for those involved in outdoor organisations in Europe and worldwide. Peter Becker, PhD, is Emeritus Professor of sociology and anthropology of sport at Philipps University of Marburg, Germany. Barbara Humberstone, PhD, is Professor of Sociology of Sport and Outdoor Education at Buckinghamshire New University, UK. Chris Loynes, PhD, is Reader in Outdoor Studies at the University of Cumbria. Jochem Schirp, retired director of bsj Marburg (Germany), a nation- and Europe-wide operating non-profit organisation in the field of child and youth care.